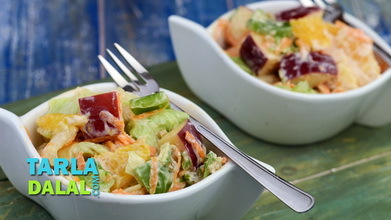 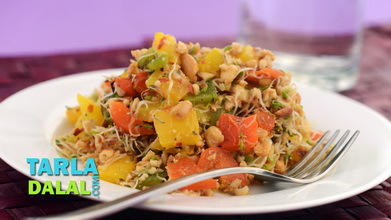 A light salad loaded with vitamin A from carrot and mint together with protein-rich rajma too, the Carrot, Cucumber, Rajma Salad in Mint Dressing is a treat to your taste buds and eyes, in more ways than one. 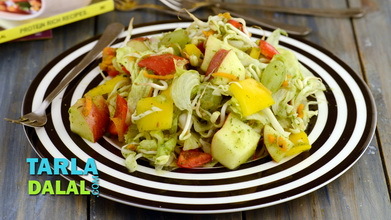 Not only is the salad beautiful to behold, it also provides excellent nourishment for your eyes and eye muscles. 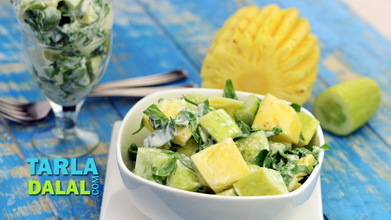 Don’t forget the honey in the dressing as it goes very well with the mint. 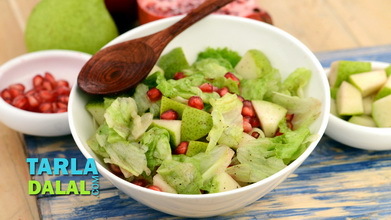 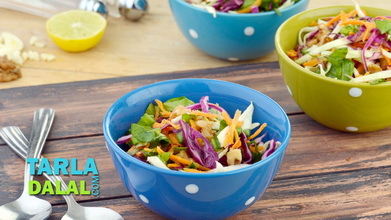 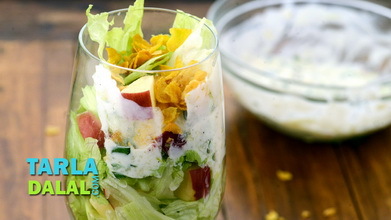 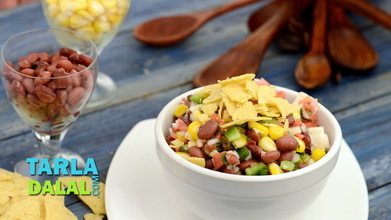 Combine all the ingredients for the salad in a bowl, toss well and refrigerate for at least 1 hour. 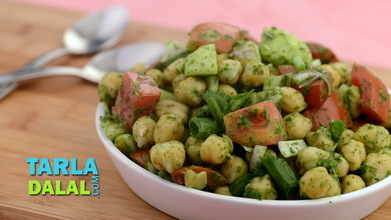 Just before serving, add the mint dressing and toss well.